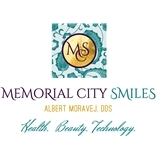 Memorial City Smiles (Houston) - Book Appointment Online! At Memorial City Smiles, artistry meets science to provide a unique blend of care, comfort, and the most advanced dental procedures available. When you visit our practice, your dental health is our top priority. ? Our entire team is dedicated to providing you with comprehensive and gentle dental care you deserve. We offer a variety of services, such as personalized dental care, teeth whitening, cosmetic dentistry, implants, orthodontics, crowns and bridges, preventive care, full mouth rehabilitation, and pediatric dentistry. ? Our office is located at the Herman Memorial Medical Center. This location allows our patients to conveniently make all of their medical and dental appointments on the same day. ? We are always available to answer all of your questions and listen to your concerns. Our twice-a-year check up appointments are a great way to maintain your perfect oral health.